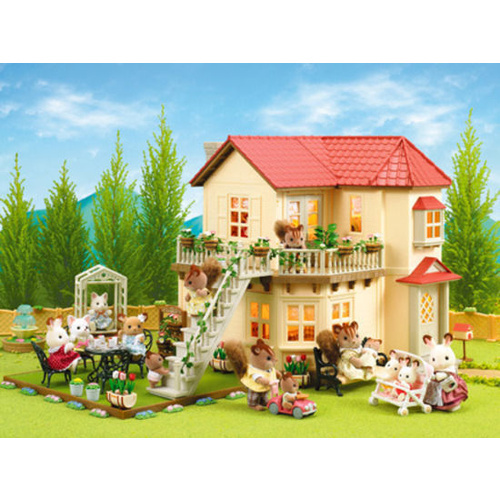 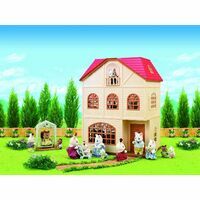 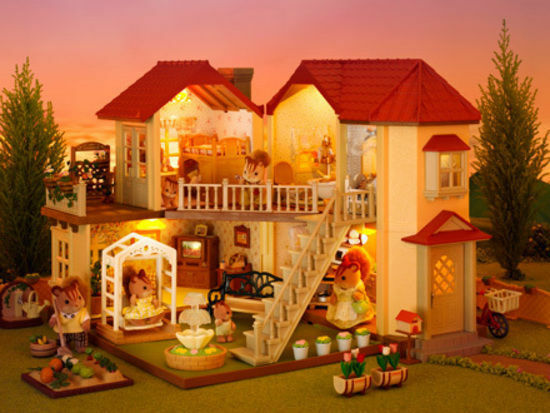 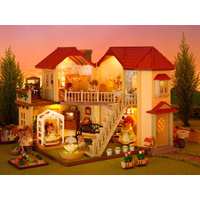 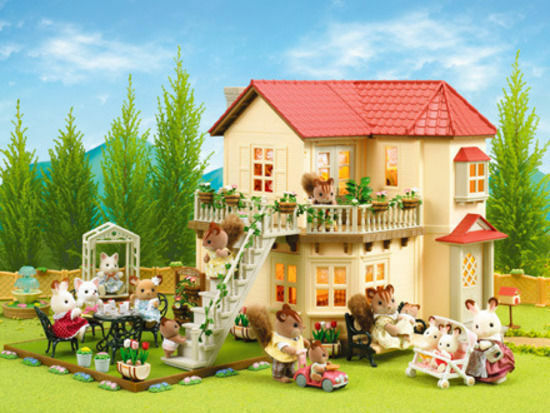 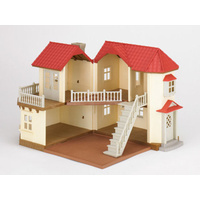 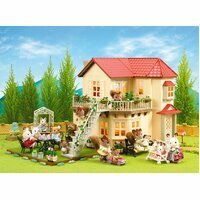 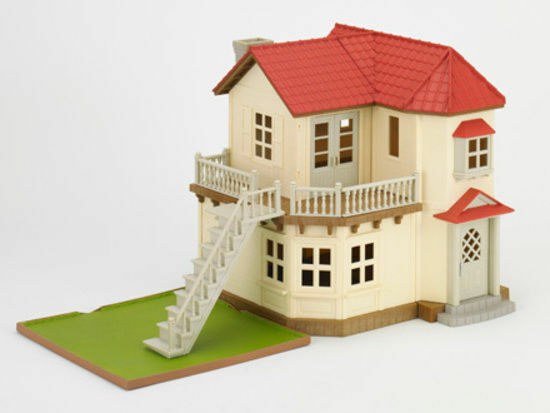 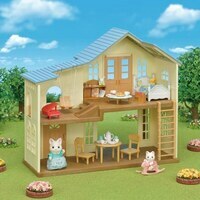 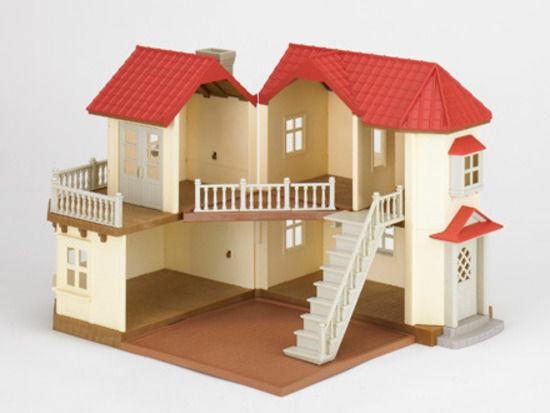 This luxurious Sylvanian Families house has five rooms spread across two floors. 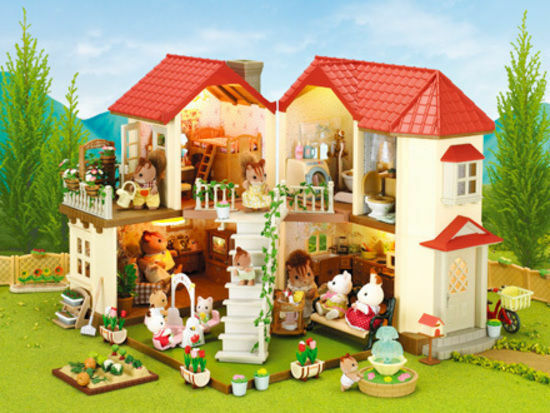 Beechwood Hall comes complete with a reversible floor panel, which can be used to add additional living space, or even create a makeshift garden. 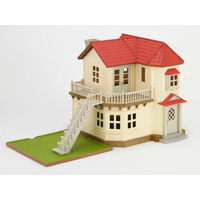 Boasting an impressive balcony, this house also has a moveable staircase with 8 balustrades. 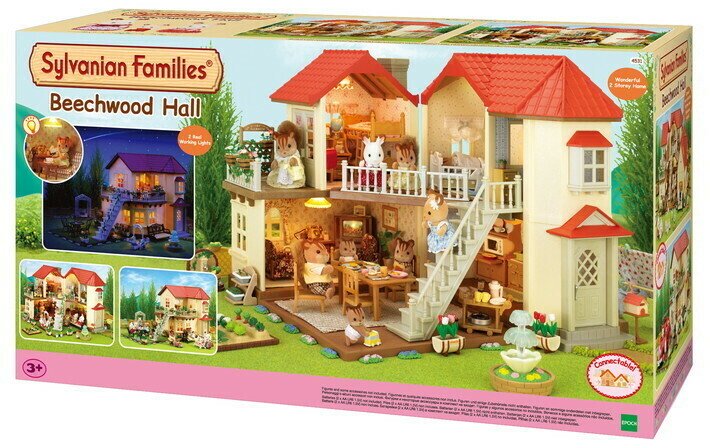 The Beechwood Hall is connectable to the Cosy Cottage making this a great property for those looking to grow their Sylvanian Village. 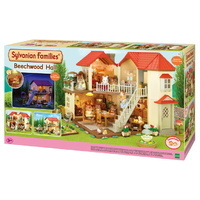 Beechwood Hall has 2 working lights which can be operated individually, and these require 2*AA batteries which are not included. 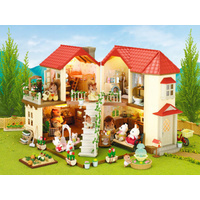 Package Dimension (approx): 35cm(H) x 65cm(L) x 20.5cm(W).